UNC vs Duke tonight in Tobacco Road Showdown! For 228 times Duke and North Carolina have gone into basketball battle and far more often than not the game has delivered on its promise. 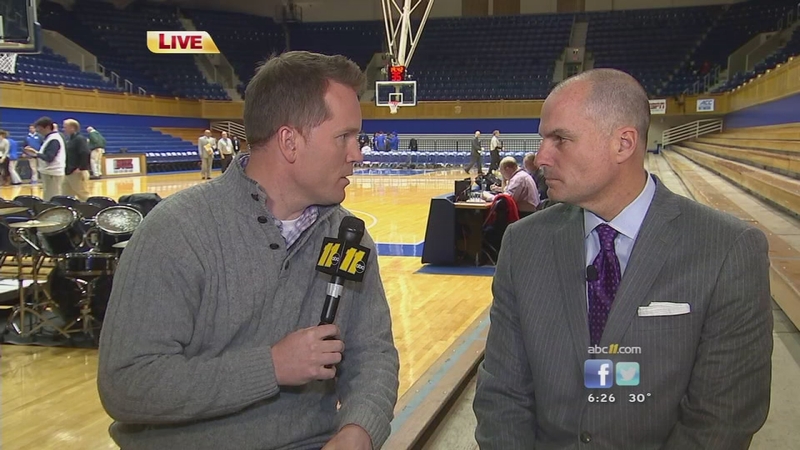 DURHAM (WTVD) -- For 228 times Duke and North Carolina have gone into basketball battle and far more often than not the game has delivered on its promise. Duke is favored and for good reason. They'll have the best player on the court in Jahlil Okafor. While Duke has the biggest guy, Carolina has large players in larger numbers. Offensive rebounding has been a strength for the Heels and likely needs to be again Wednesday night. You can watch the big game on ABC11's sister network ESPN beginning at 9 p.m.